Audi A4 is available with three engine variants – 1.8L TFSI petrol engine, 2.0L diesel engine and a 3.0L Quattro diesel engine. The 1.8L TFSI petrol engine can churn out 167bhp maximum power at 3800-6200rpm with maximum torque of 320Nm. This automatic transmission petrol variant can reach 0-100kmph in 8.4 seconds and it can achieve top speed 225kmph. The 2.0L diesel engine can produce 177bhp of maximum power with 380Nm of maximum torque. The variant can cross 100kmph speed mark in speedometer from zero in 7.8 seconds and it can achieve top speed of 223kmph. On the other hand, the 3.0L, Quattro diesel engine delivers maximum power of 241.3bhp with 500Nm of maximum torque. This is the most powerful variant of Audi A4, it can achieve 0-100kmp in just 5.8 seconds and it can touch the top speed mark of 250kmph. Audi A4 is designed to get maximum of luxury, comfort and style but still if you want to get some good performance numbers especially when you instantly push the accelerator paddle to the floor then you will not receive any sort of disappointment because engine under the hood of this car knows when to perform to its maximum efficiency which comes from Audi most favorite Quattro wheel drive technology. Best part about this engine is that you can easily achieve three digit speed of 250km/hr. The petrol trims of Audi A4 are powered by a 1.8L mill, which displaces 1798cc and dishes out a maximum power of 167bhp at 3800 to 6200rpm and yields a peak torque of 320Nm. Besides, there is a 2L, dielse engine, which displaces 1968cc and generates a power of 147.5bhp in combination with 320Nm. The third one is a 3L diesel engine with 2967cc. This motor can skillfully scoop out a max power of 241.3bhp and a peak torque of 500Nm. This sedan can attain a top speed of 250kmph on an average and takes 5.9 seconds to achieve it. Audi A4 1.8 TFSI Premium Plus, Audi A4 3.0 TDI Quattro Technology and Audi A4 2.0 TDI 177 Bhp Premium Plus are the variants that are readily available in India. The variant, Audi A4 3.0 TDI Quattro Technology has 3.0-litre 241.4bhp 24V V-Type Diesel Engine with 2967 cc engine displacement. Further specifications of Audi A4 3.0 TDI Quattro Technology are as follows. The maximum torque of this variant is 500Nm@1400-3250rpm, while the maximum power is 241.4bhp@4000-4500rpm. The turning radius of the wheelbase is 5.8 meters, and its top acceleration is 250km/hr. The car accelerates from 0 KMPH to 100 KMPH within 5.9 Seconds. It has 8 speed gearbox. The variant, Audi A4 1.8 TFSI Premium Plus has 1.8-litre 167.62bhp 16V TFSI Petrol Engine, 1798 cc engine displacement, 225km/hr top speed, maximum power of 167.62bhp@3800-6200rpm and maximum torque of 320Nm@1400-3700rpm. It accelerates to 100 KMPH within 8.3 Seconds. The turning radius of the wheelbase of this variant is 5.8 meters, and it features 8 speed gearbox as well. The specifications of the variant Audi A4 2.0 TDI 177 Bhp Premium Plus include a 2.0-litre 174.33bhp 16V In-Line Diesel Engine, 1968 cc engine displacement, maximum power of 174.33bhp@4200rpm and maximum torque of 380Nm@1750-2500rpm. It accelerates to 100 KMPH within 7.9 Seconds. The turning radius of the wheelbase is 5.8 meters along with an 8 speed gearbox. 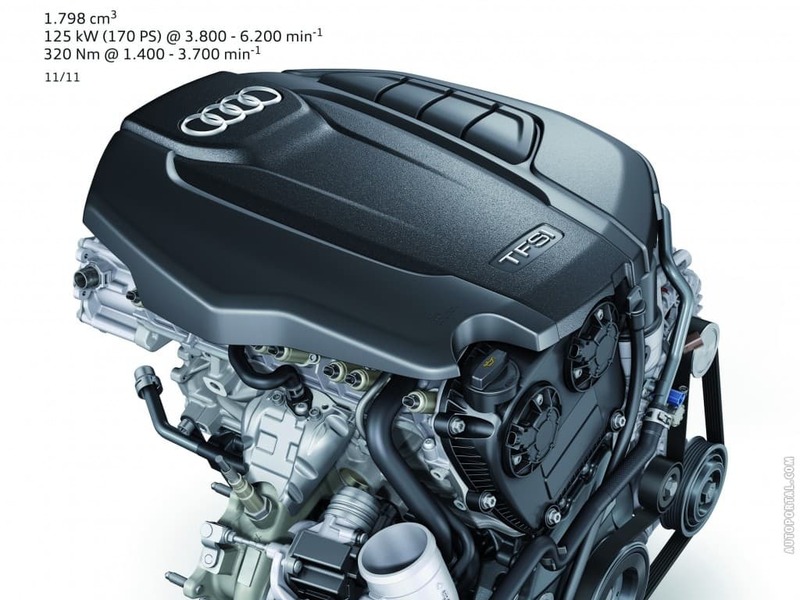 Audi A4 engine set up comprises of three engines including one petrol and two diesel engines. The only petrol variant in the sedan's range gets power from the 1.8 litre, TFSI petrol engine good for 170 Bh0 of peak power along with 320 Nm of top torque. The 2.0 TDI diesel engine outputs power in two states of tune, one is the 140 PS version and the other is the 177 PS version. Other than these there is a high displacement 3.0 litre diesel motor that powers the range topping trim, the engine churns out maximum power of 241.4 Bhp and mounting torque of 500 Nm. On the performance front, 3.0 TDI engine takes 5.9 second to reach 100 kmph from nill and offer 250 Kmph of top speed. The 2.0 litre engine takes 8.3 seconds to hustle up to 100 kmph from rest.